I did a research on the Physical model cities , specifically focusing on the New York city Model. The first question that comes to our mind is that even in this world of digitization of everything , why do we need the physical models ?? Well , in my opinion , i believe that a physical model is the best way to visualize a city , and to propose new urban developments , architectural proposals , and to do research. 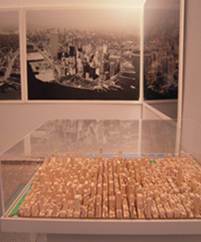 A physical model gives us the real glimpse of the city , from it’s history to it’s future. My case study , was on the New York City Model ( physical model ) and the GIS 2d maps of the city. 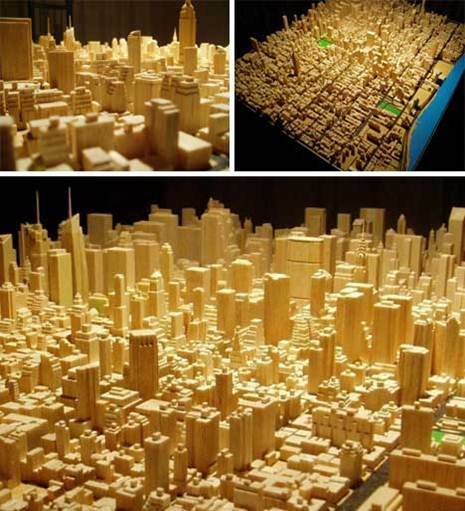 The incredible physical model of the city was created by Michael Chesko , who just for his passion for modelling imaginary cities , built the NY model , which is among the best tiny models of the world. This model is at a scale of 1: 3200 , where 3/8 th of an inch = 100 ft.
To get an idea of the scale , the Empire State building ( ht. = 1250 ft ) is only 4.7 inch high on the physical model. This guy , definately had a lot of patience , as he used to wake up at 7am and work till 12 pm. every day. and worked on this model for 2000 hrs !!!! Chesko spent all these hours carving each and every building with basic tools like X Acto blades and fingernail files. The only resources he used to build this model were blueprints , google maps and photographs. While doing my research for the NY GIS , i found that very similar to the Chicago data portal , open to public , even NY has it’s own data portal which is open to public. 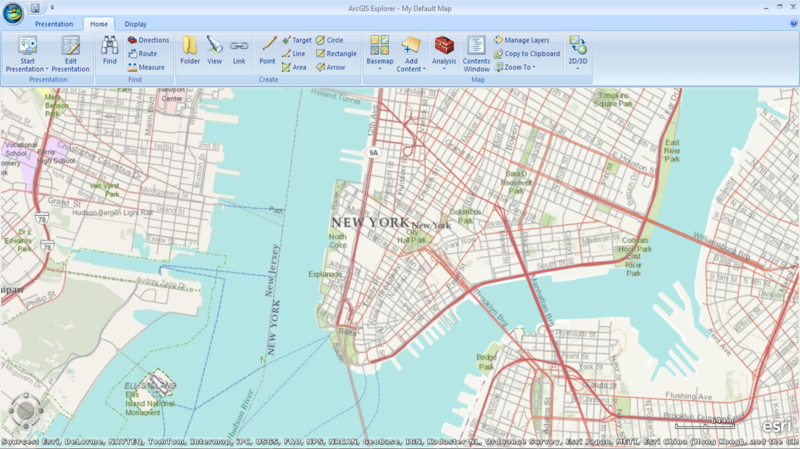 Most of the data for NY GIS can be found on NY GIS Clearinghouse website , where in you’d find the GIS Data Search , Data set listings ( as per name , organisation and sector ) , Imagery Data Sets ( raster maps and ortho imagery ) , And the GIS tools. While exploring the website , i downloaded the ArcGIS Explorer , which is a free tool used for query only. Here you can see the 2d digitised maps for roads , topography , open street maps etc. NY has also made a few GIS explorers , for Zoning of the city , City Model ( to search for the events and activities ) going on in the city , Tax Maps , to calculate how many people have been paying their taxes. etc. While doing this research i learnt a lot about the 2D Mapping in GIS and the actual reasons behind the making of the physical models.